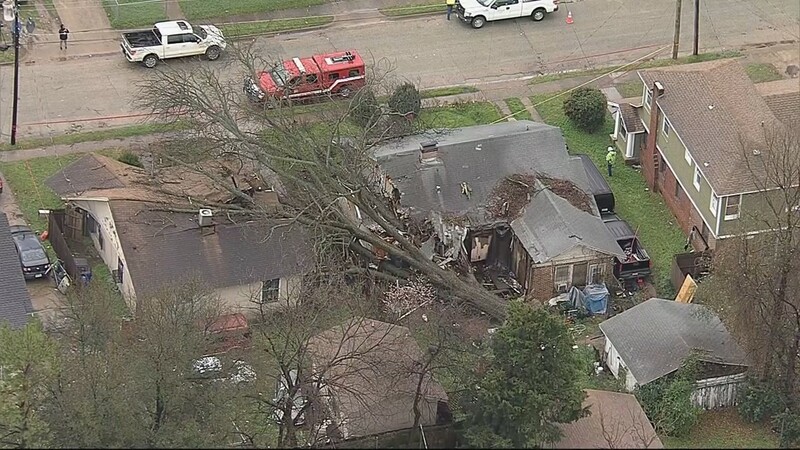 A Wind Advisory remains in effect for North Texas until 7 p.m.
A powerful line of storms swept through North Texas Wednesday morning, bringing damaging wind gusts and heavy rounds of rain. 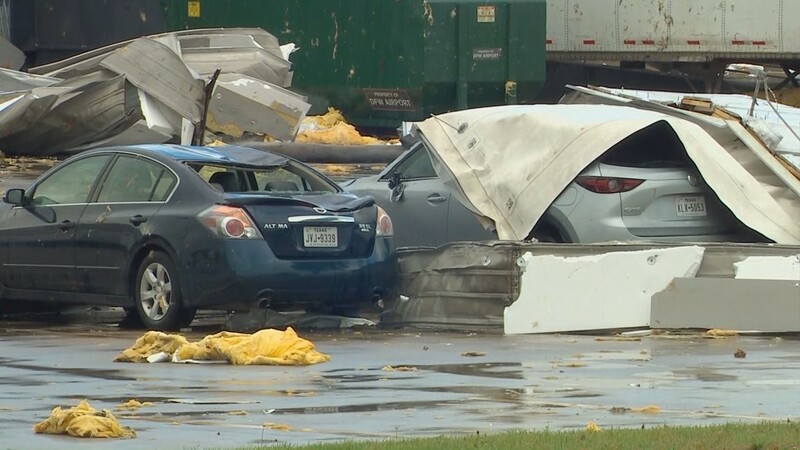 Fort Worth, Addison and Grand Prairie saw some of the highest wind gusts, reaching 70 to 80 mph. 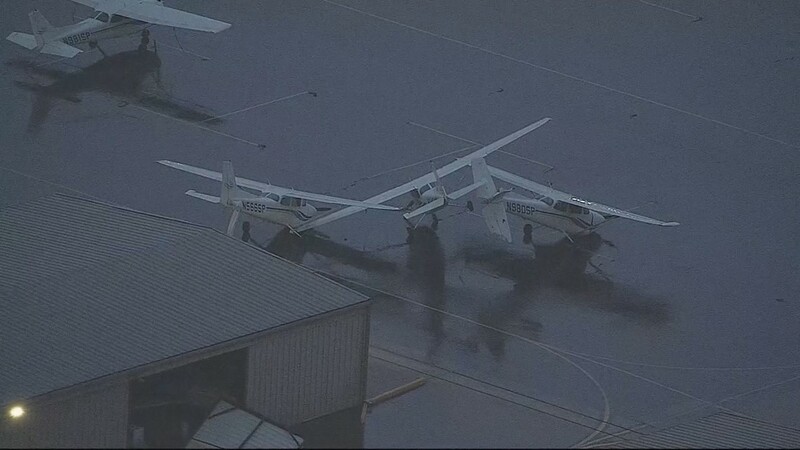 Planes at Grand Prairie Municipal Airport sustained significant damage, toppled over by strong winds. 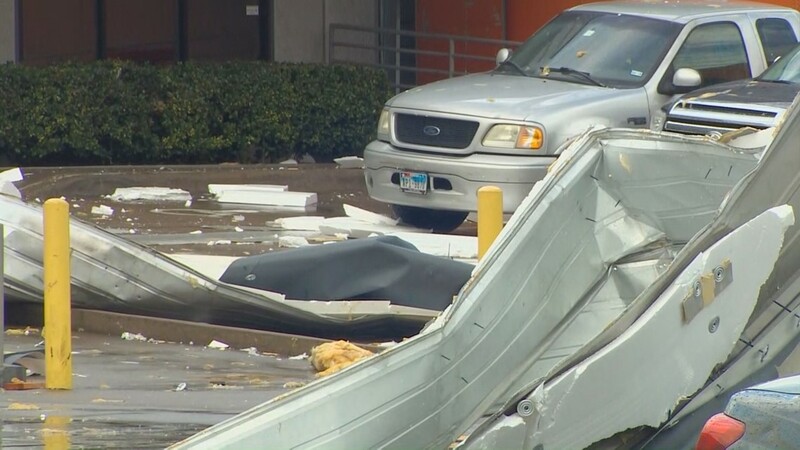 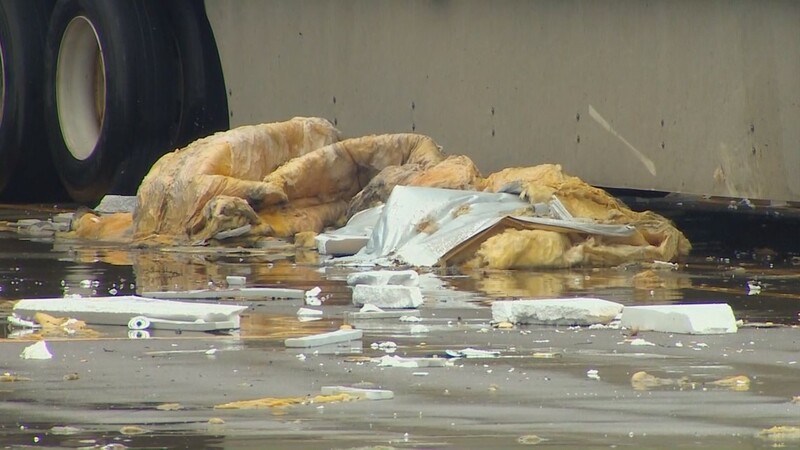 A video posted on Facebook sent to WFAA shows a mangled roof from an Amazon warehouse blown away with debris near the DFW Airport. 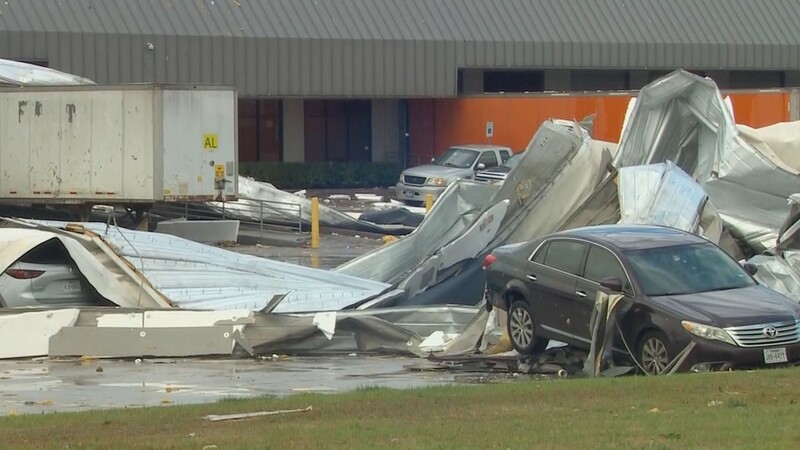 Amazon said the facility is closed and no injuries were reported. 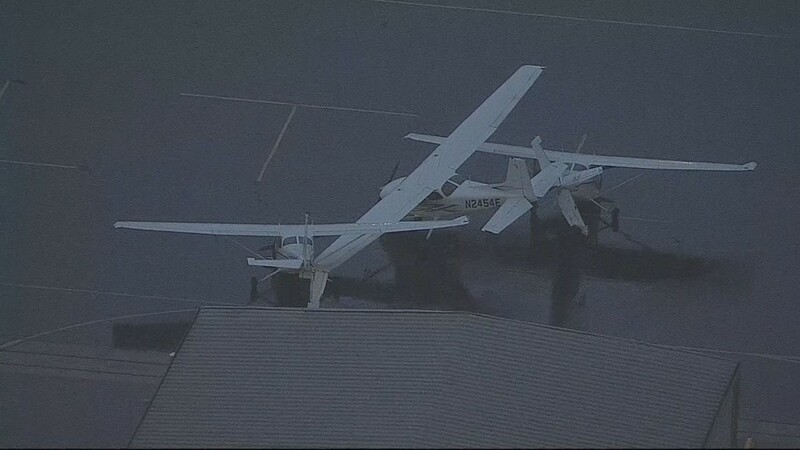 A Wind Advisory remains in effect for North Texas until 7 p.m. Wednesday with winds anywhere from 25 to 35 mph and wind gusts up to 40 to 50 mph. 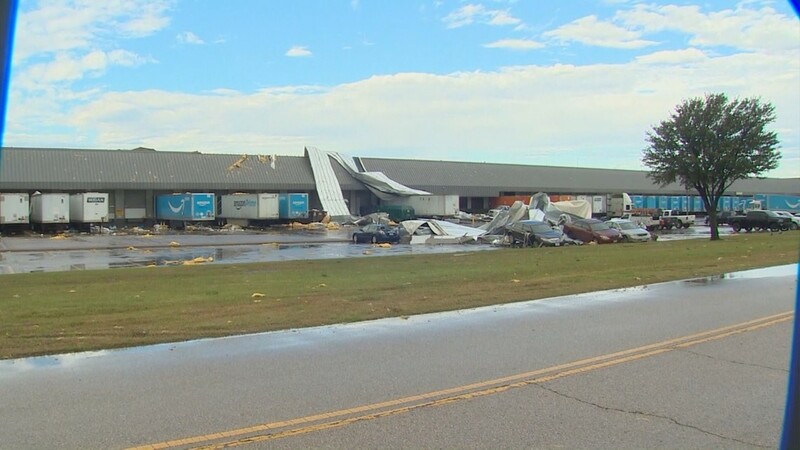 By 7 a.m. storms knocked out power to more than 100,000 people, Oncor reported. 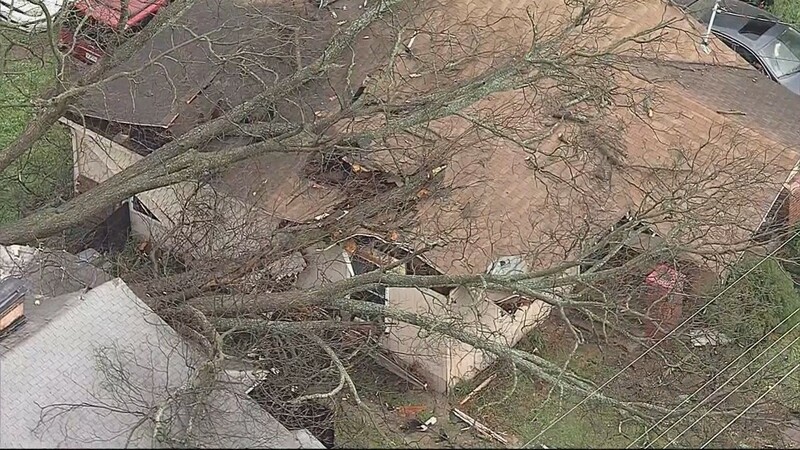 Crews were working to restore power from downed power lines. 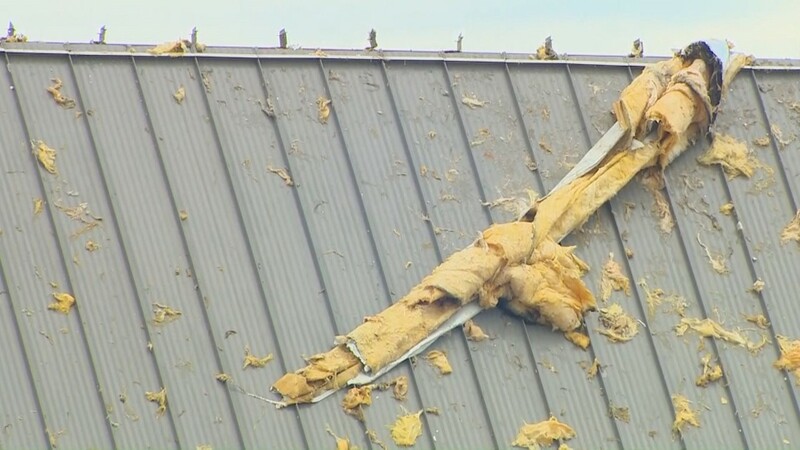 It's unclear what time repairs will be complete. 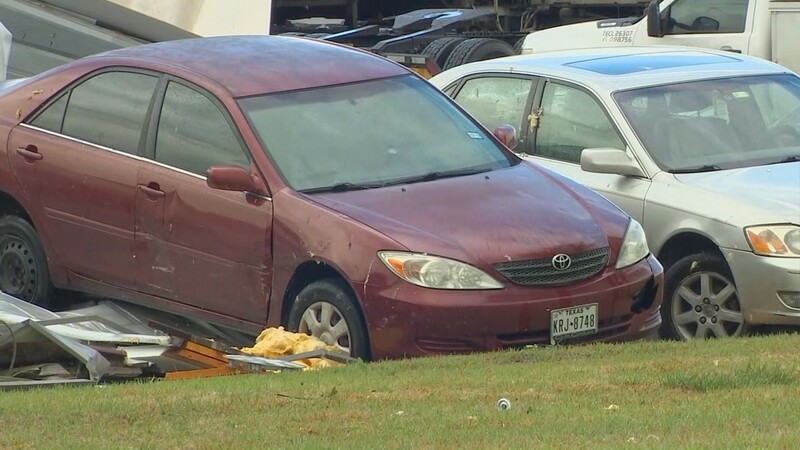 The storms also made for a messy commute for drivers after multiple reports of crashes brought traffic delays on major roads and highways: I-635 near Preston Road, I-20 in Arlington, Dallas North Tollway in Plano, and President George Bush Turnpike in Grand Prairie. 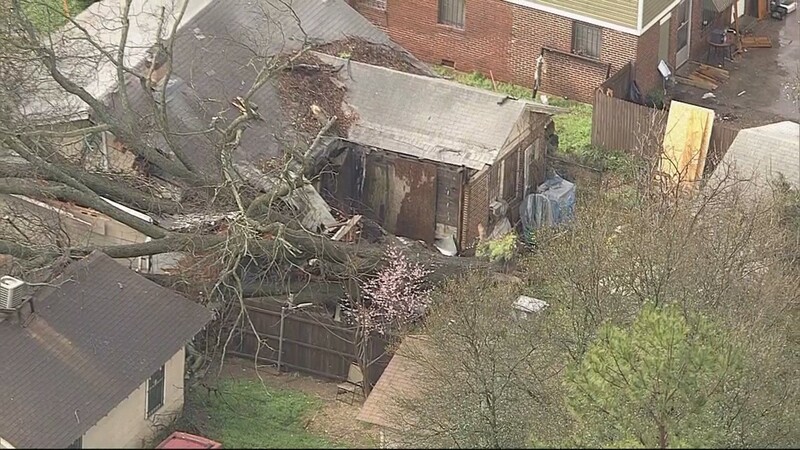 March 13, 2019: Trees falls on a Dallas home during Wednesday's morning storms. 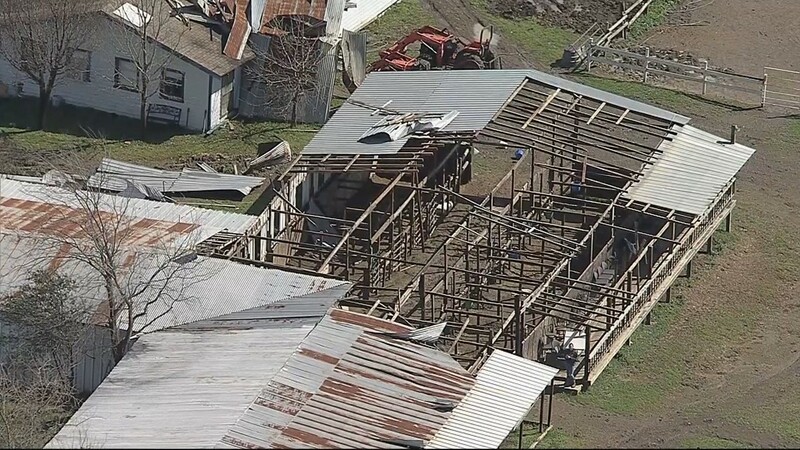 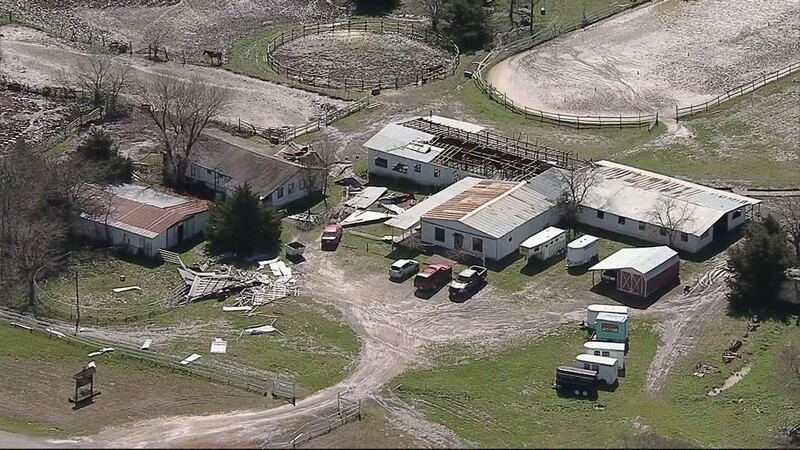 March 13, 2019: An equestrian center in Princeton, Texas, sustained damage after Wednesday morning storms. 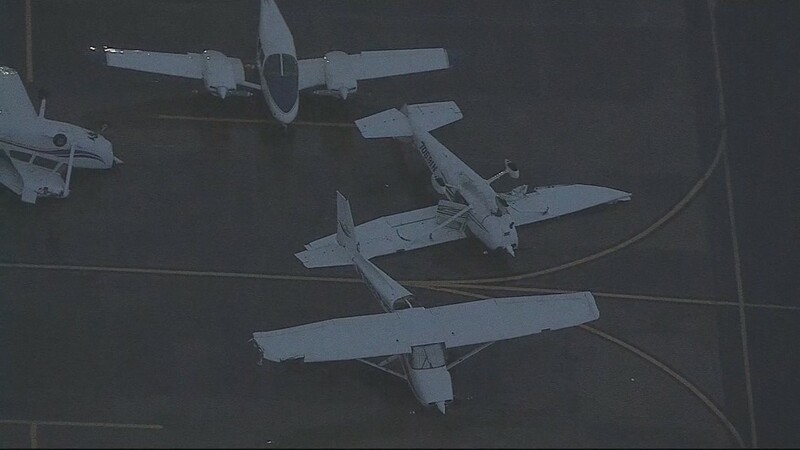 Earlier, Air Traffic Control issued a ground stop for all planes before resuming normal activity by 6:30 a.m. at DFW Airport. 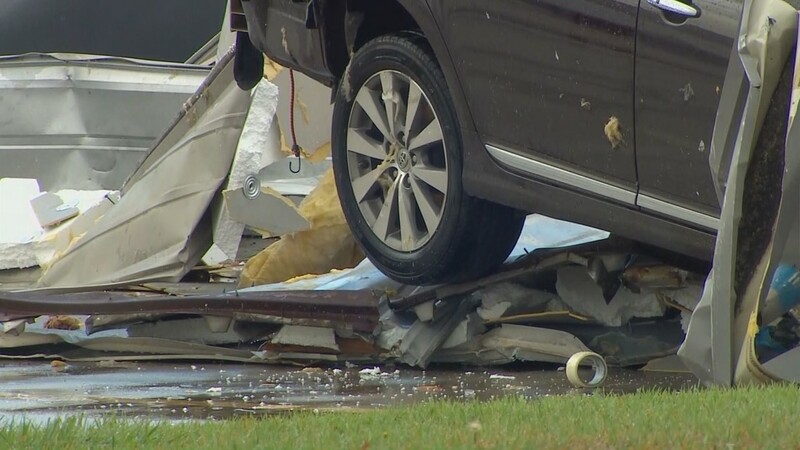 In Johnson County, a woman was in the hospital with injuries when winds blew over a small mobile home that crushed a vehicle on Bramblett Road and Highway 4, southwest of Cleburne. 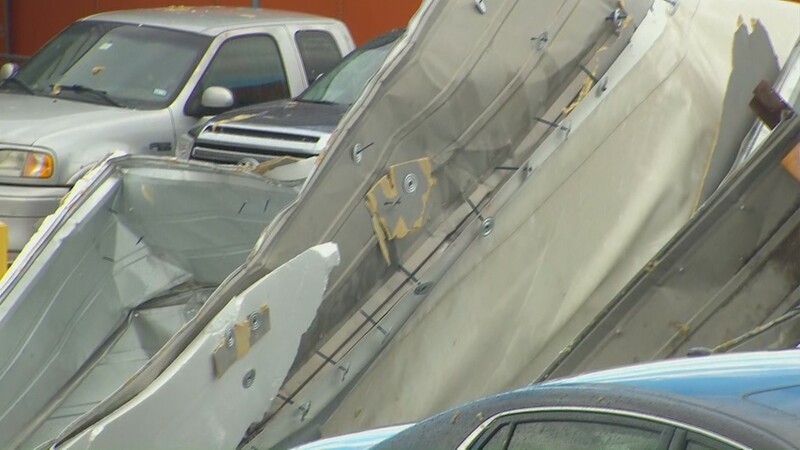 Officials are urging drivers to avoid several roads in Fort Worth due to flooding issues: 500 Haltom Road, 8000 Heron Drive at Las Vegas Trail at Shoreview, 8000 Old Grandbury Road.